Now the site has the standard wine range of white, red and sparkling but it got me convinced that this may not be a bad idea after all. Initially i was thinking who would even buy a half bottle of wine, but then it struck me! Being the tipsy connoisseur that i am i could buy a half bottle of wine sample it and no love lost if i didn’t like it. As much as i like trying new wine and actually liking new wines and champagne around 6 out of the 10 times the new wine i buy is not a winner in my books, and lets face it i can’t go to a winery every week (much to my dismay) to sample new brands. The price really also doesn’t seem too bad compared to the same product offered elsewhere. The sites sampled offer discounts for buying in a dozen and in this case we have compared single bottles ( Apples for Apples ). 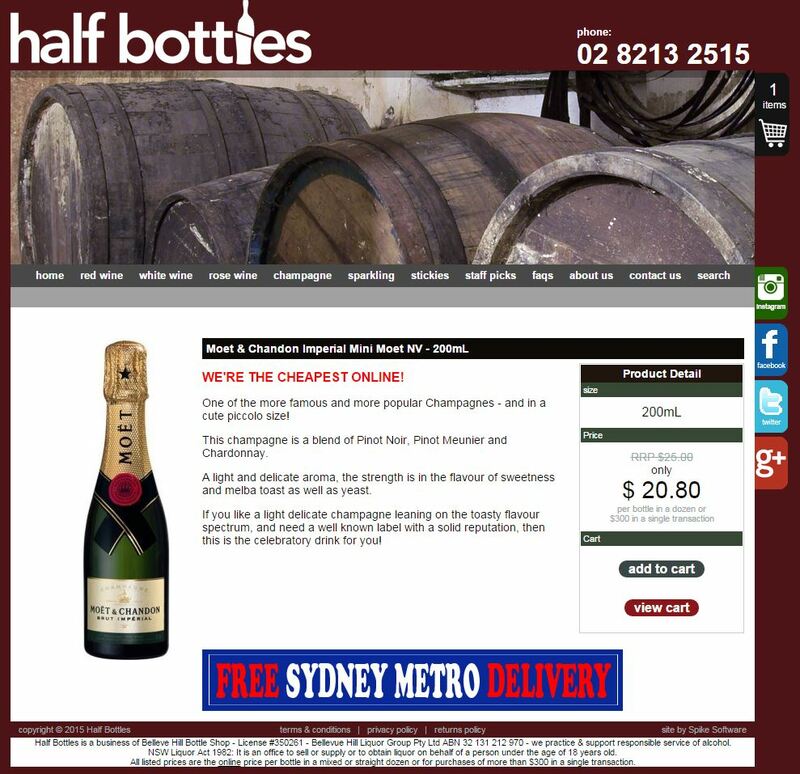 For example a 200ml bottle of Moet on Half Bottles is $25.00 + FREE shipping whilst Mr Dan Murphy sells for $21.90 + $7 shipping. So clearly in this example a cheaper option with Half Bottles by around $3.90. So i may in give this a go in the future, have you tried this service or a service like it offering half bottles of alcohol? Do you see any benefit in it ? Let me know in the comments!